The unknown foreign vessel the Swedish Navy searched for near Stockholm last autumn was actually a “workboat,” a senior navy official says. Local media had alleged a hunt was on to try and find a Russian submarine, which was believed to be in the area. The Swedish Navy changed the wording from “probable submarine” to “non-submarine” when referring to the reconnaissance mission connected to the unidentified vessel spotted in the Stockholm archipelago. The massive hunt was used by the Swedish Defense Ministry to justify a six billion kronor ($696 million) hike in defense spending between 2016 and 2020. The drama started after an amateur photograph of an alleged underwater vessel of unidentified origin was sent to the ministry. The man who took the photo raised the alarm because he thought he saw the object surface and disappear again. Sweden undertook an intense one-week search in late October, looking for possible “foreign underwater activity” near Stockholm. 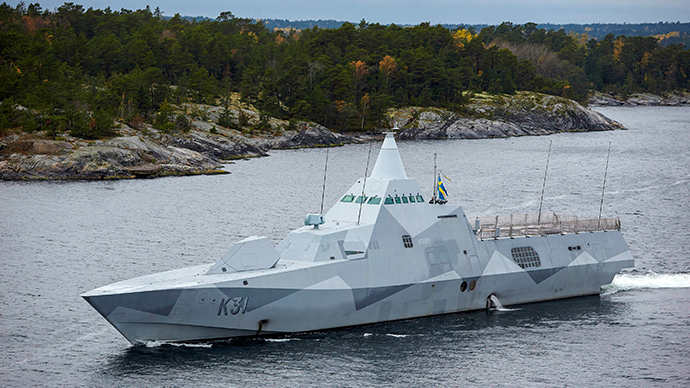 During the operation, the Swedish Navy reportedly used over 200 troops, helicopters, stealth ships and minesweepers to search the waters of the Baltic Sea. During the search, the Swedish media exaggerated the story, claiming country’s navy was looking for a submarine in the Baltic Sea, which allegedly belonged to Russia. Meanwhile, naval officials from Sweden and Russia maintained there was no substance to the reports, which was confirmed by Grenstad. “From the information we have, we cannot draw the same conclusion as the media that there is a damaged U-boat. We have no information about an emergency signal or the use of an emergency channel,” the navy official said. A full report of the search operations will be published later this spring, the Swedish newspaper Svenska Dagbladet reported.